Seeing a lot of human-carrying drones, like https://www.youtube.com/watch?v=wbeoTnuo2-U . 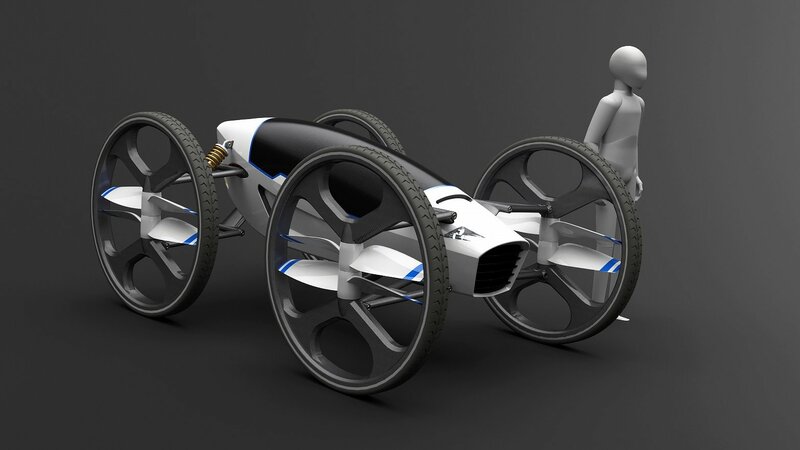 We decided to take a time and draft the first concept of the Flying Car on a scale 1:1. 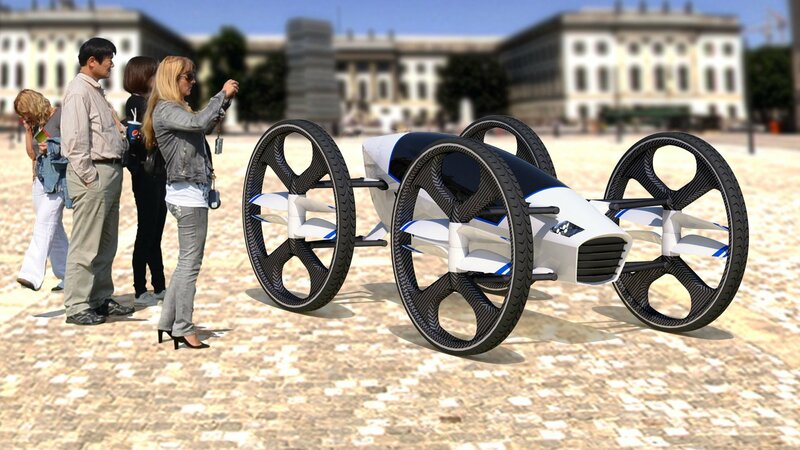 The concept designed for the single person, capable of driving in any terrain ( due to large and very light wheels). Once it meets obstacle like a river, lake, mountains etc. 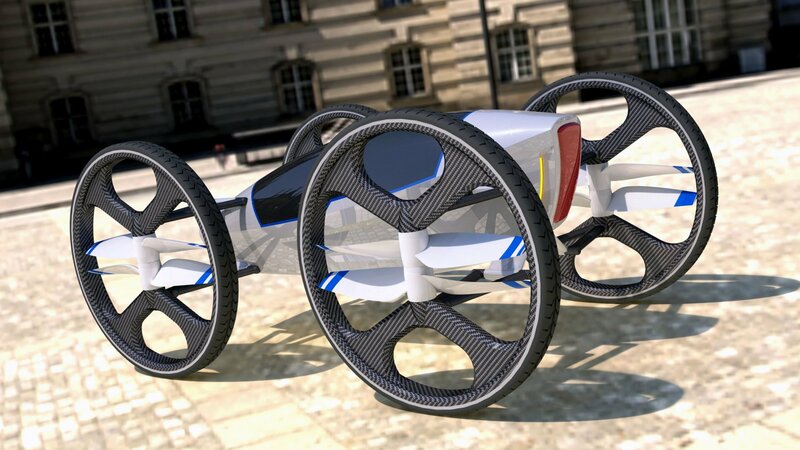 it is capable to take off and fly over it. 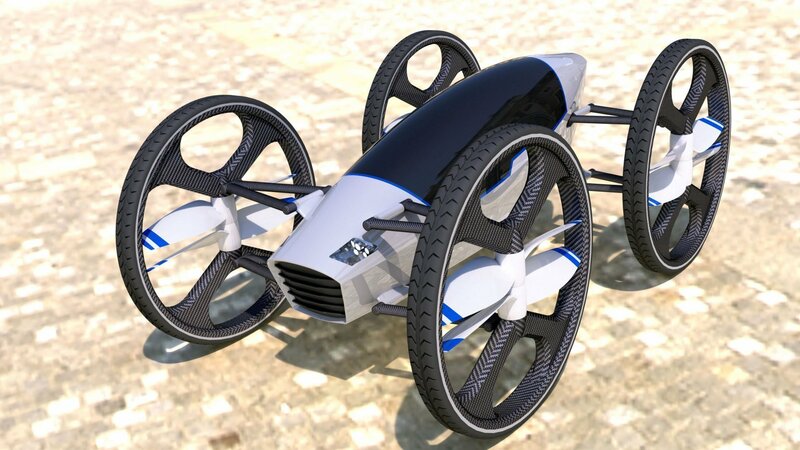 Equipped with eight propellers ( 50 inches in diameter) which provide necessary lift at good efficiency. Let us know what you think in the comment section.